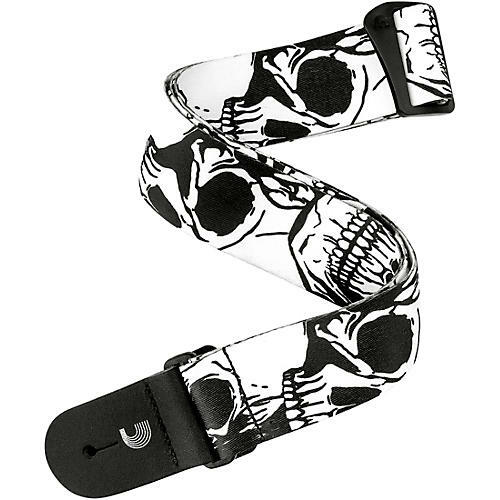 D'Addario Planet Waves 50 mm Polyester Guitar Strap, Skulls Skull 2 in. Whether you're looking to make a bold image statement or to bask in the comfort of luxurious high quality leather, Planet Waves has a strap for you. Straps are adjustable from 35" to 59.5" long.